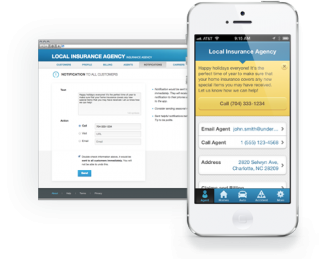 How to get started with the Insurance Agent app. Clients want SIMPLICITY & mobile convenience done “their” way. You want to offer premier service to clients AND drive agency growth. Now you can do both. and balance self service and maximize team productivity! REAL Feedback From Our AWESOME Customers! Agency Dashboard: crucial data & contact management. Reports and tools that identify and drive referral, retention and rounding opportunities. Built to increase customer engagement, generate revenue and simplify digital marketing for your insurance agency. The Insurance Agent smartphone app helps customers stay in touch, manage policies, accident reports, create a home inventory and ask better coverage questions. Personalized with every use. Stronger connections with every touch point. The elegant interface and robust functionality provide easy access to new mobile services available only through your app. Notifications are a high-value touch point delivering important messages and alerts. 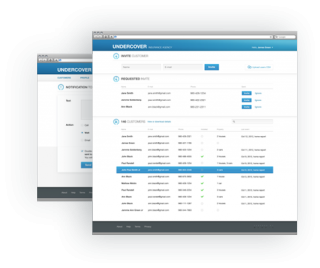 They are created and sent from your agency dashboard, and are received instantly on client smartphones. Notifications are a highly effective feature that drive mobile engagement with your agency, and the tools inside your app. Help from your insurance agency is always just a click away. Insurance Agent – the easiest way for clients to contact your agency – manage policies, auto accident reports and home inventories. The service your clients expect at their fingertips. 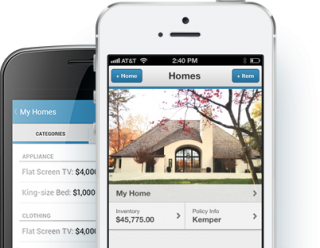 Easy, Quick & Secure – Clients can create & update home inventories in minutes… Click and capture the contents and the value of their personal property on their smartphones. Clients can then tap and share reports to ensure proper insurance coverage, file a claim, or update estate & tax info. Agents receive an email notification when reports have been shared. Accidents happen. Insurance Agent allows clients to store multiple vehicles and their insurance ID cards, and also has a mobile claims kit with one-click help, tow truck and geo-locator. 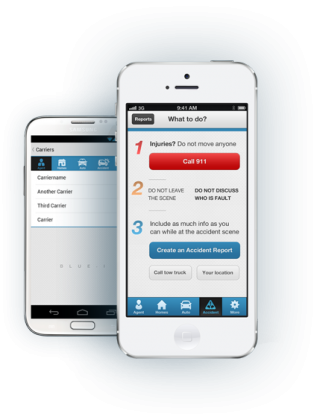 The simple accident report generator allows users to “say” or type what happened, take multiple pictures of the accident scene, take images of other drivers’ insurance ID card(s), license plate(s) etc. 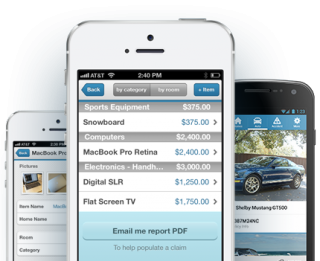 Reports can be shared with an agent, and/or insurance company with the touch of a button. Watch the video above. Then choose how you want to engage with us by clicking below. 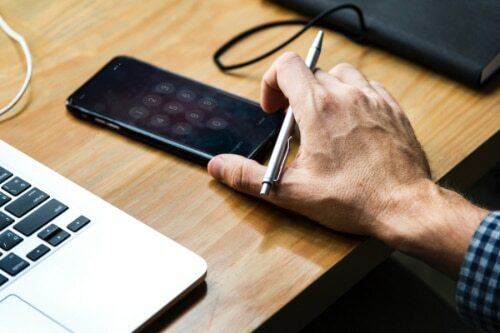 Fact-Finder start here: "5 Reasons Mobile is Vital to Your Agency's Future"
Evaluators Learn: "What's This App Gonna Do for My Agency?" 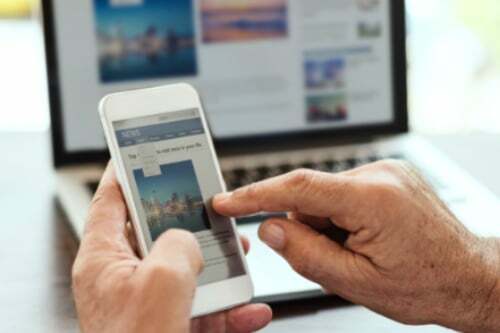 5 Reasons – Quickly understand how mobile is impacting your business today and what every agency must do to connect and engage with customers & prospects and how improve agency efficiency. Tasks start on mobile devices, whether searching for insurance, starting a claim or accessing an ID card. Learn how to have a dominating mobile strategy across web and app to acquire, retain & grow your customer base. This is the 30,000 ft view you’ve been looking for! What’s This App Gonna Do For My Agency? 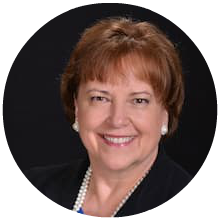 Watch “What’s this app..” in 7 mins and learn how to drive growth, productivity & retention with your clients. Is your agency ready to streamline workflows & deliver the mobile convenience and experience clients now expect? It’s time to change the insurance experience from a piece of paper that’s quickly forgotten to something tangible, manageable and proactive! In a few taps, customers and staff are more productive, connected and engaged. Watch NOW and get ready to get more done! If you’re a Forward thinking agency ready to CRUSH the Customer Experience you need to read this! Read the FREE report to learn how making self service, communication and transactions easier for the client, your agency and the insurer is easier than you think and critical for growth. Are you ready to Crush client engagement and drive growth in your agency? Get in touch! Helping your customers just got a whole lot easier!